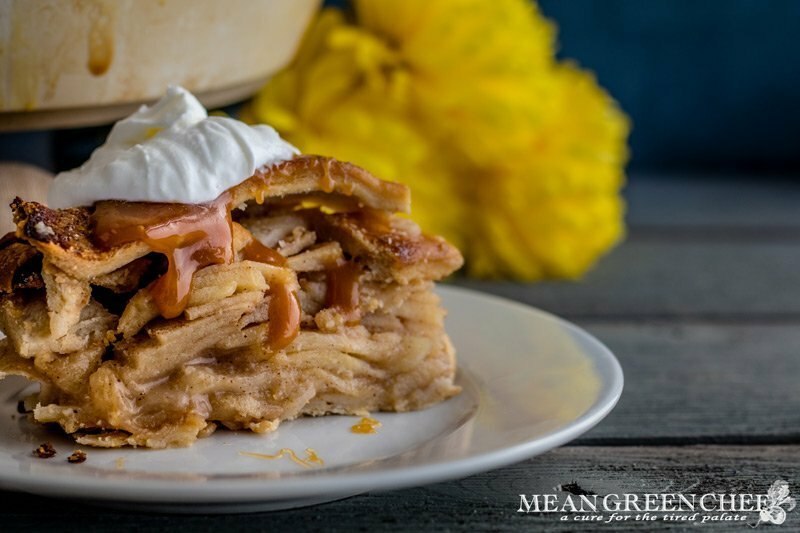 Our old fashioned Caramel Apple Pie, baked with the perfect combination of apples and a rich caramel sauce. An award-winning combination that has been in our family for years. The sauce is so easy to make and simmers while you prep the pie for baking. Once you’re done slicing the apples, they get tossed with sugar and apple pie spice (we have a quick recipe for that too)! What type of crust do I use for a Caramel Apple Pie? We use our favorite versatile Easy Shortcrust Pastry, it’s buttery, flaky goodness stands up the weight of this mile high pie. Plus, this crust comes together in a snap in your food processor. If you’re on the fly you can easily use a couple of store-bought refrigerated crusts, you’ll find them in the freezer section. What are the best types of apples to use for Apple Pie? While there are more than 100 varieties of apples grown in the USA, there are about 15 popular varieties that account for nearly 90% of production. We use 2 types to create the ultimate balanced blend of apple flavor. Granny Smith: A terrific all-purpose apple, with a notable green flesh and tart bite, occasionally displaying a slight red blush. Originally discovered in Australia in 1868 in Ryde, New South Wales, by “Granny” Anne Smith. They’re harvested in August and available year-round. Golden Delicious: Sweet and mild in flavor, yellow with kisses of soft pink. They were discovered in the early 1900s on the Mullins’ family farm in Clay County, West Virginia. What can I use for Apple Pie Spice? If you don’t have any on hand, here’s our tried and true blend! 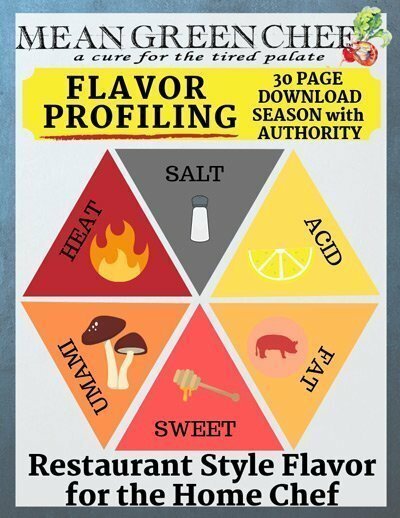 Of course, you can always adjust for flavor. Grab the recipe for our Apple Pie Spice here! How do I make a Lattice Pie design? This is a really simple design that makes a beautiful presentation. If you don’t have a pastry wheel, use a pizza wheel to cut the crust for the top of the pie. If you don’t have either of them, then you can use a sharp knife with a straight edge ruler. Cut the pastry into even strips between 1/2-inch to 3/4-inch wide depending on how thick you want your lattice. After your pie is filled, lay down 4-7 parallel strips of pastry dough, depending on how thick the strips are, on top of the filling. Leaving roughly 1/2-inch to 3/4-inch space between them. Then fold back every other strip. Place a strip of dough perpendicular to the parallel strips as shown. Unfold the folded strips over the perpendicular strip. Then take the parallel strips that are running underneath the perpendicular strip and fold them back over the perpendicular strip, as shown below. Lay down a second perpendicular strip of dough next to the first strip, with some space between the strips. Unfold the folded parallel strips over the second strip. Keep going you’re almost there! Proceed with this process until the lattice is complete. Trim the edges of the strips so they are flush with the pastry of the pie dish. Then crimp and secure them to the shell. Preheat oven to 425°F/220°C. In a heavy-bottomed saucepan over medium-high heat melt the butter and then stir in the flour with a flat bottomed wooden spoon until blended and smooth (30 seconds). Then add the water, brown sugar, and white sugar stir and bring to a gentle boil. reduce the heat to low and allow the caramel sauce to simmer. Peel, core and slice apples, toss with apple pie spice, brown sugar, and white sugar. Place the bottom crust into a 9-inch pie pan, then fill with the apples. Slowly pour 3/4 of the caramel sauce over the apples. Use the remaining 1/4 caramel sauce and brush over the top of the pie. Bake 15 minutes in the preheated oven. Reduce the temperature to 350°F/175°C and continue to bake for another 35-45 minutes, until apples become tender. Store apple pie covered up to 2 days at room temperature (due to the fact it does not contain eggs). It can also be stored in the refrigerator for up to 1 week. To freeze: Wrap already baked pie in a metal or ceramic pie dish, wrap tightly with double layers of plastic wrap and then heavy duty aluminum foil. Defrost on the counter for 2 hours or in the refrigerator overnight and then rewarm in a preheated 350°F/175°C for 15-20 minutes before serving. If you’re on the hunt for other inspirational dessert recipes then be sure to check out our other creations!